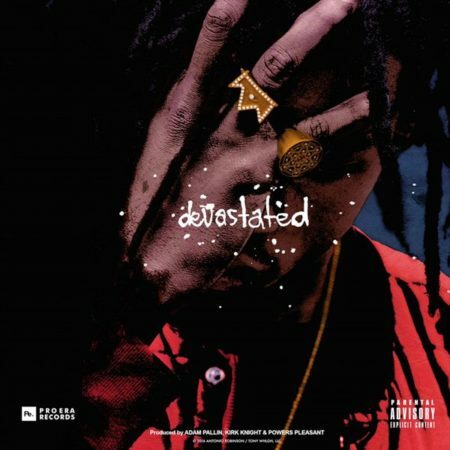 Watch JOEY BADA$$’ video for current single “DEVASTATED” and read more about the project in full below. Last week Joey Bada$$ took to the streets to premiere a new video for his single “Devastated” in his hometown of New York City. Riding atop a double decker bus with the video playing on its side, Joey greeted mobs of fans at stops throughout New York that included Prospect Park, Barclays Center, Soho, Union Square, and Madison Square Park. Washington Square Park served as the final stop on the mobile premiere tour where Joey performed a 5 song set as the streets flooded with fans and the takeover continued to go viral across social media, causing police to shut down the performance. August 12th 2016, Joey is sharing the video for “Devastated” online. The music video also marks Joey’s directorial debut, as he co-directed along with with Shomi Patwary. Following a sold out hometown show at Highline Ballroom, Joey is gearing up to head out on the Blank Face World Tour with Schoolboy Q. Starting in September, the Blank Face World Tour will see Joey on the road for 2 months. Furthermore, Joey’s “What About The Rest Of Us” that features Action Bronson and Rico Love was recently tapped to be included in the Diddy-curated official soundtrack for WWE 2K17. Check out the new video for “Devastated” above, and find some social recaps from the mayhem yesterday.